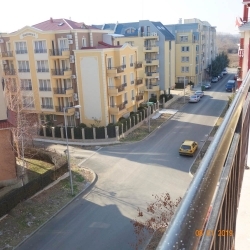 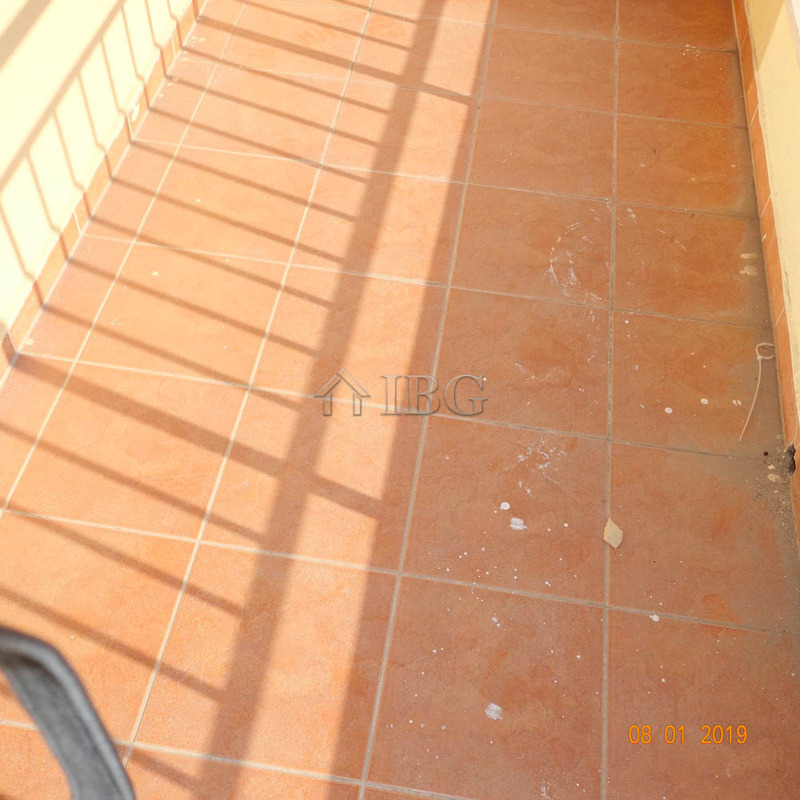 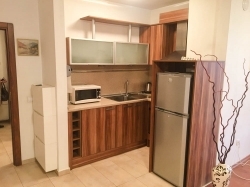 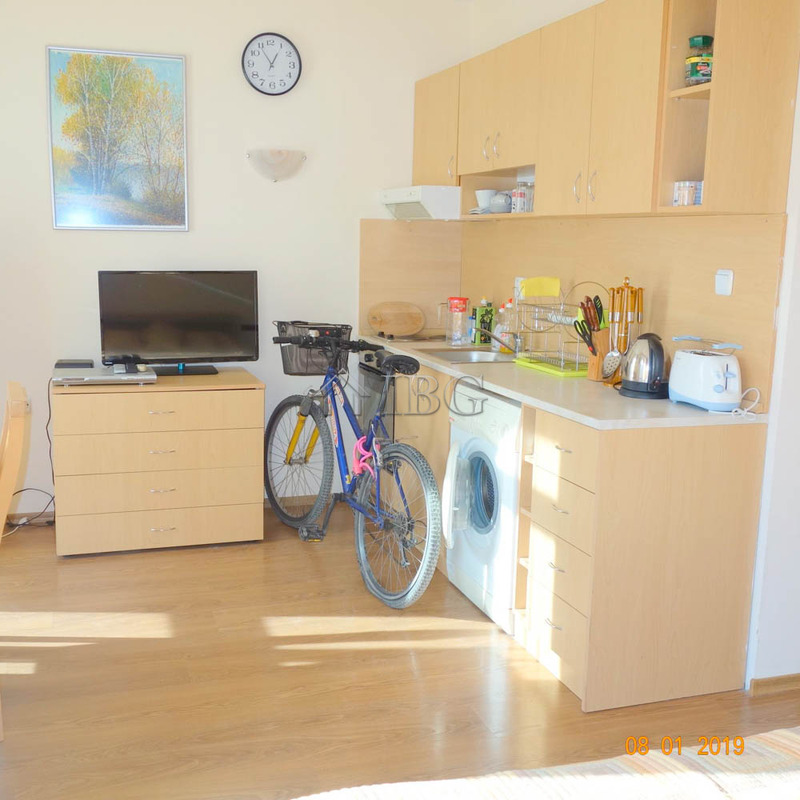 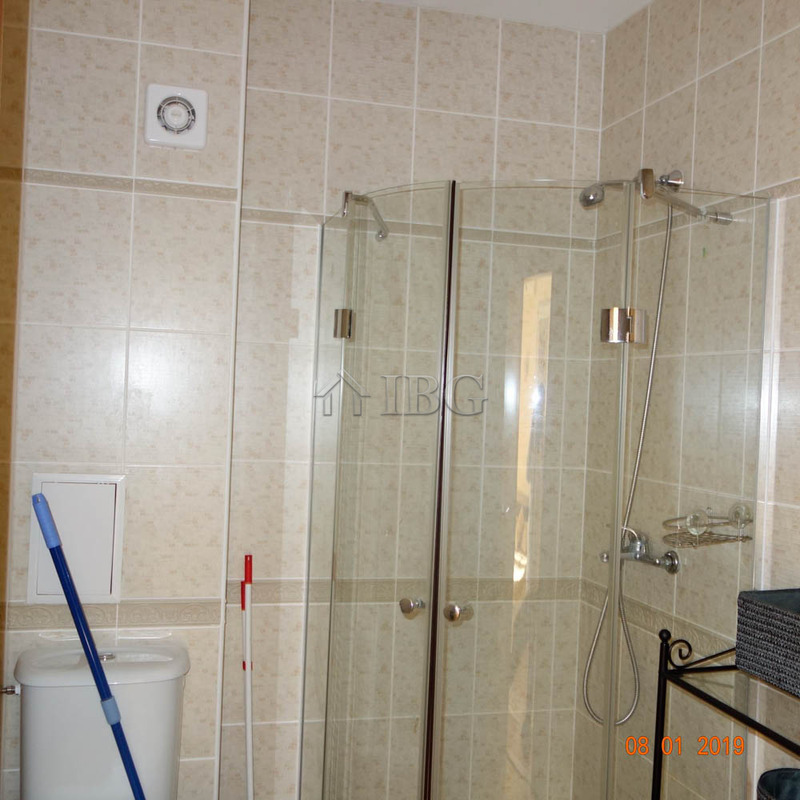 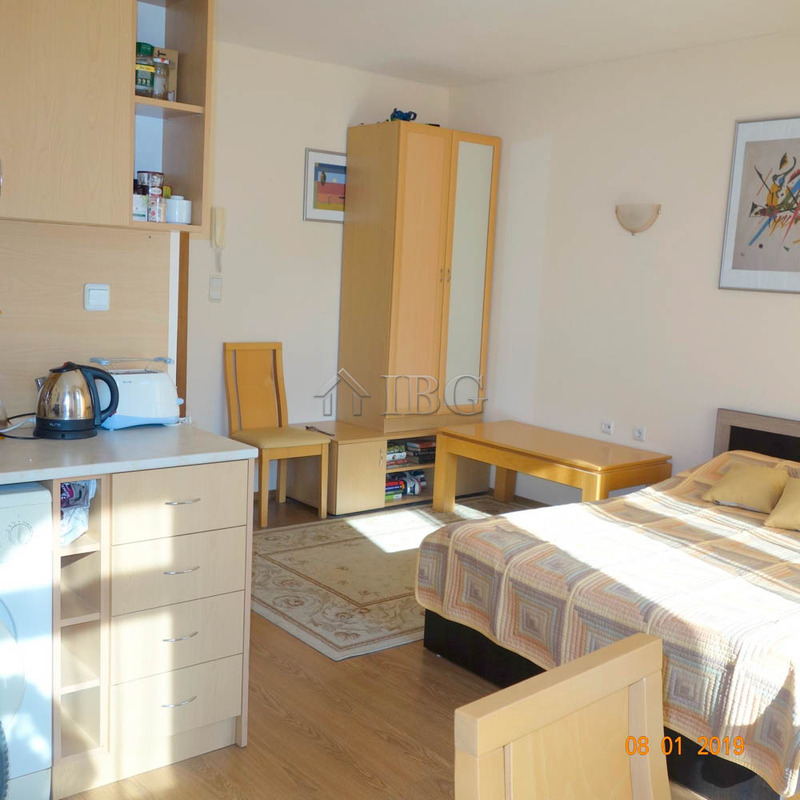 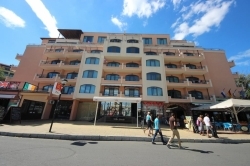 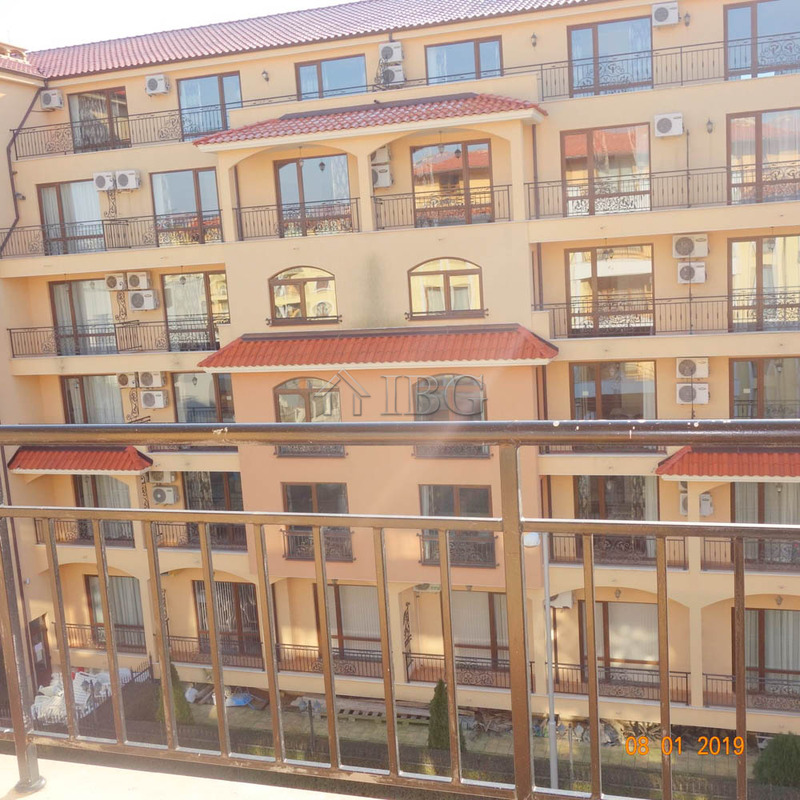 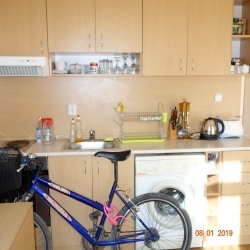 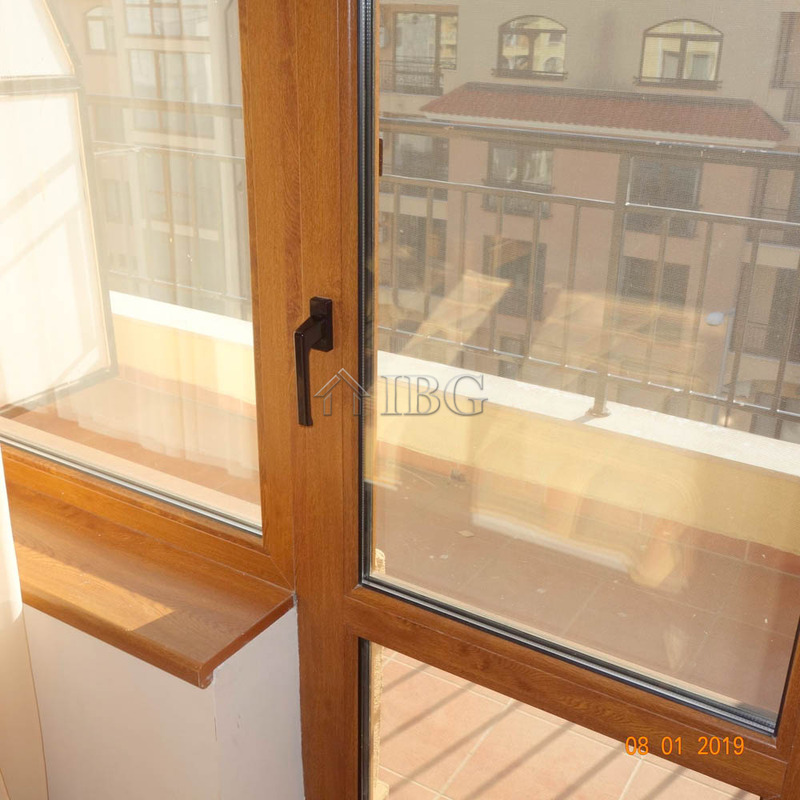 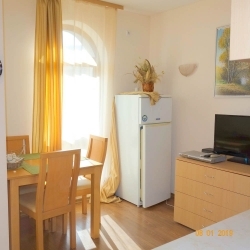 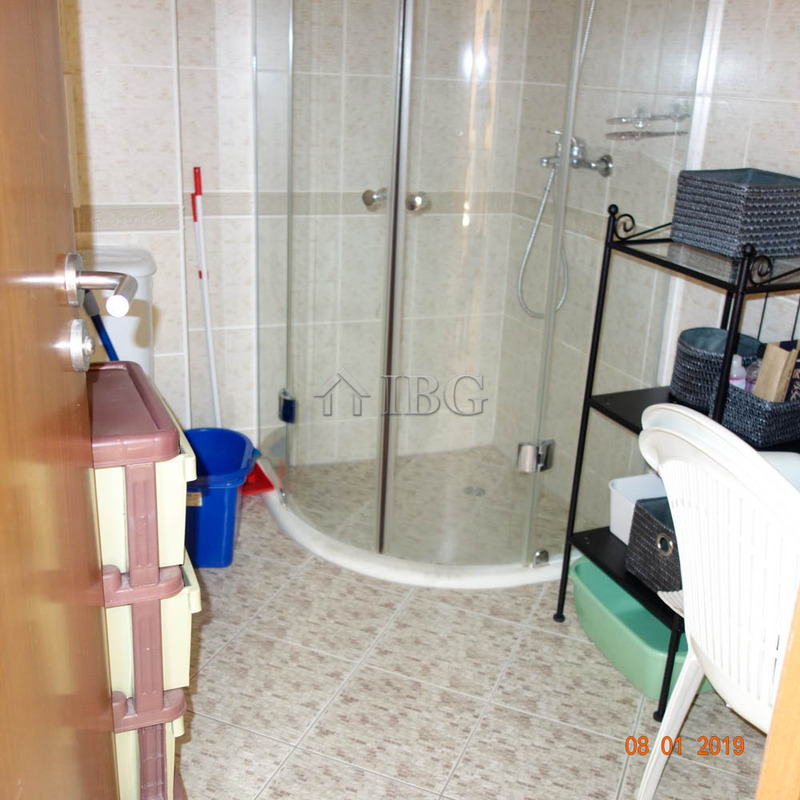 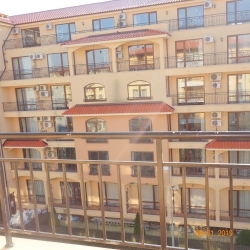 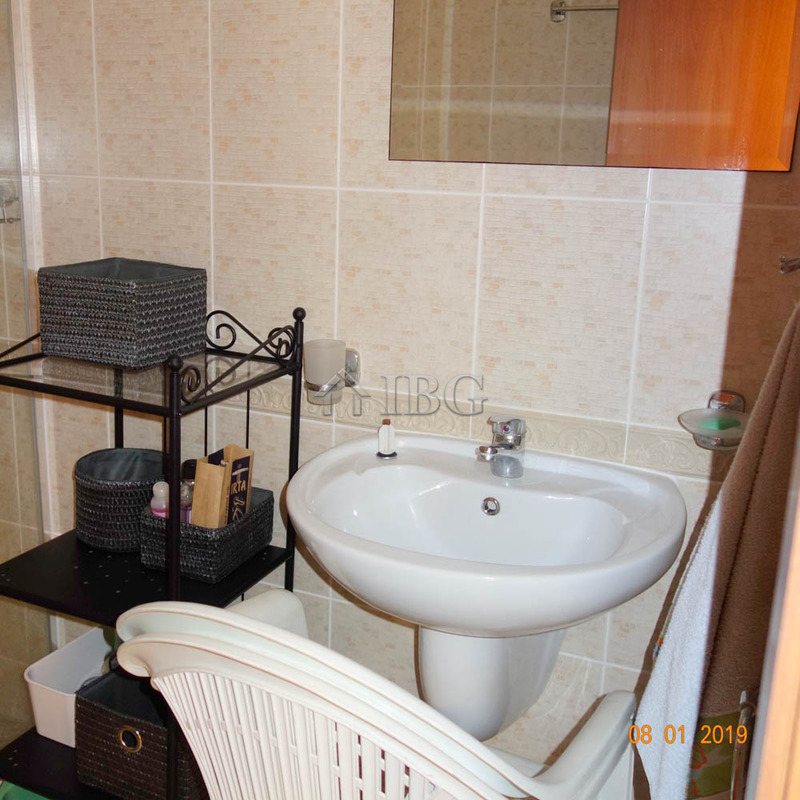 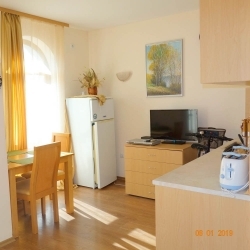 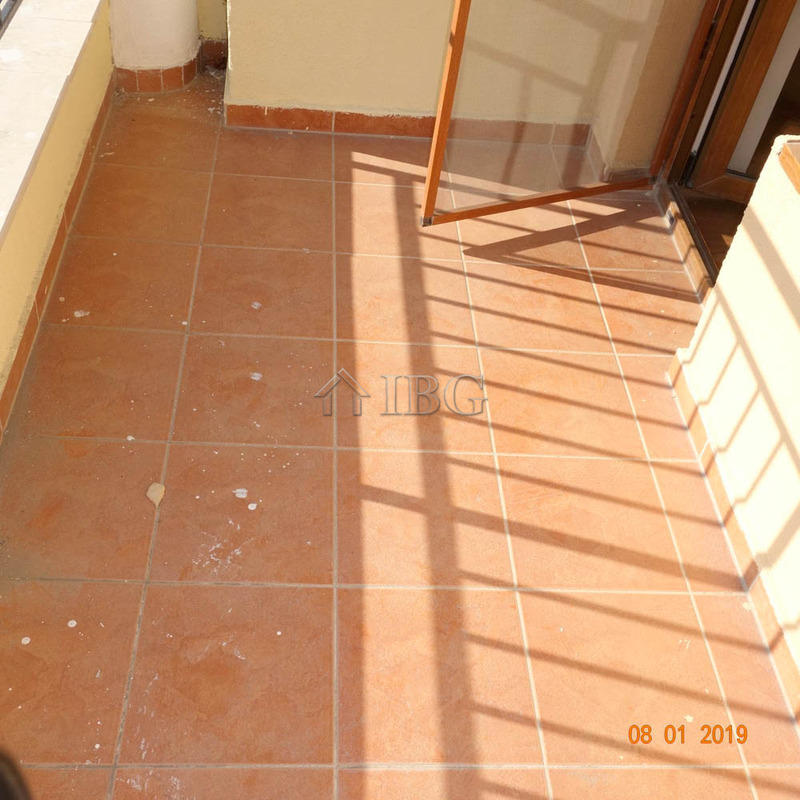 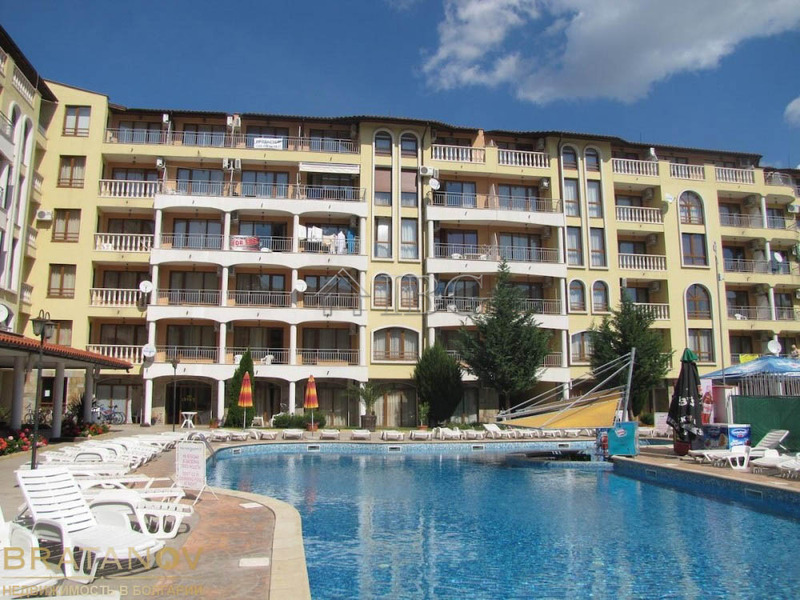 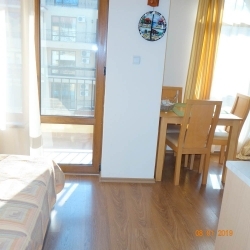 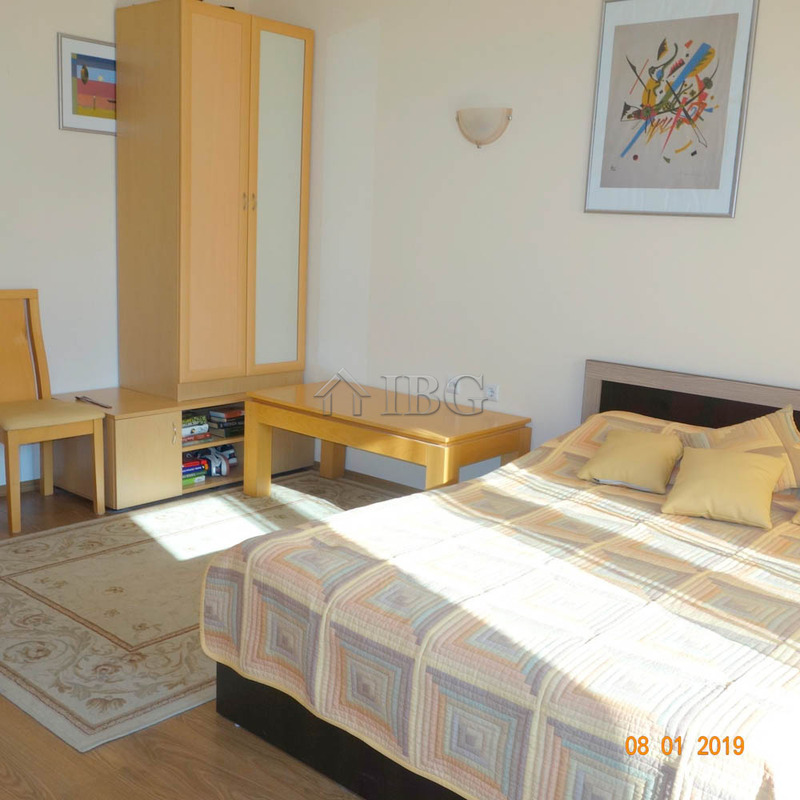 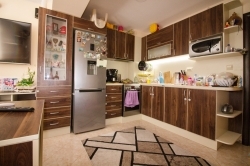 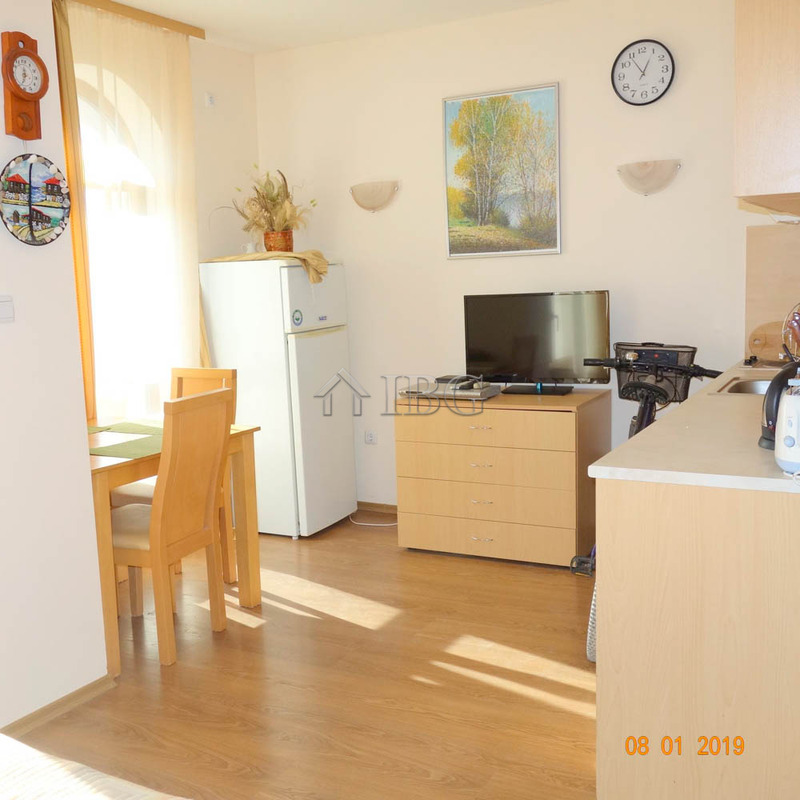 IBG Real Estates is pleased to offer this spacious and comfortably furnished studio, located on the 5th floor in complex Royal Dreams, Sunny Beach. 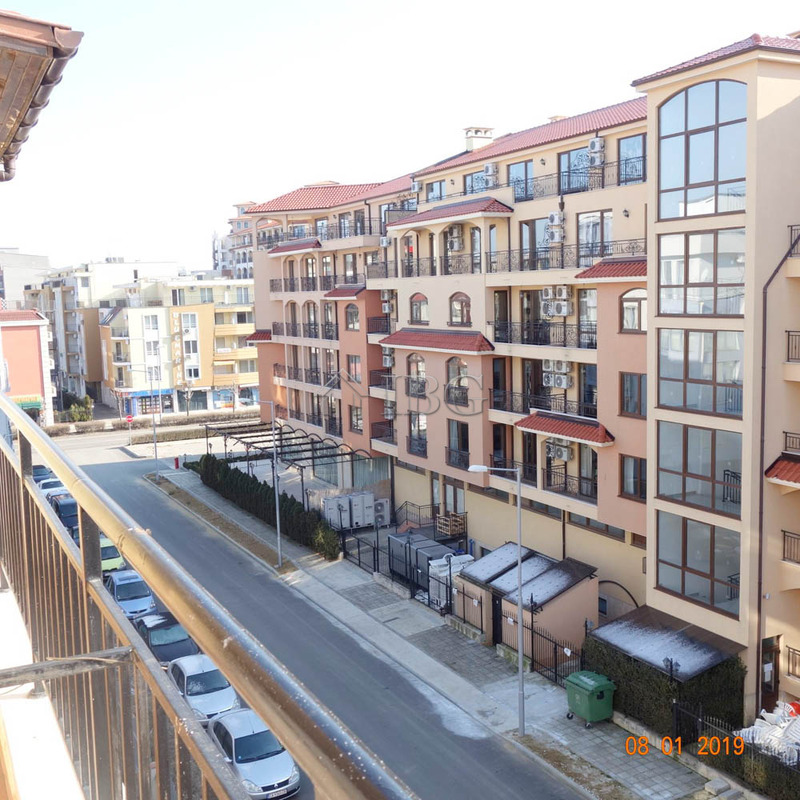 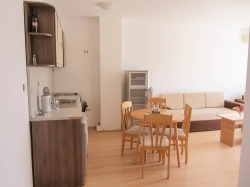 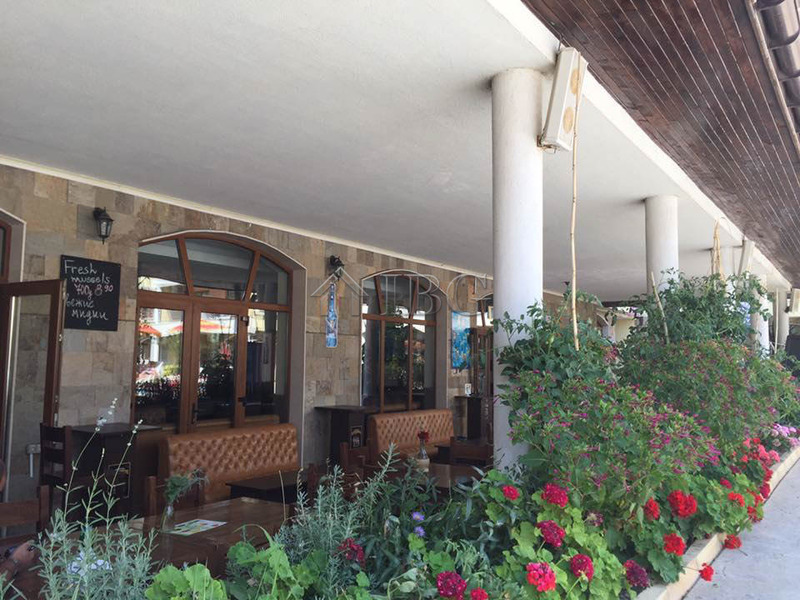 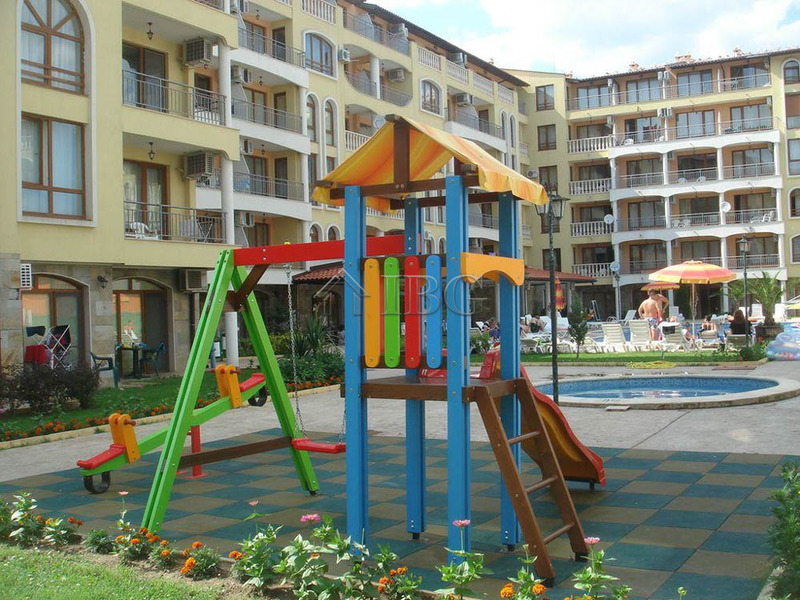 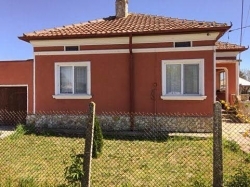 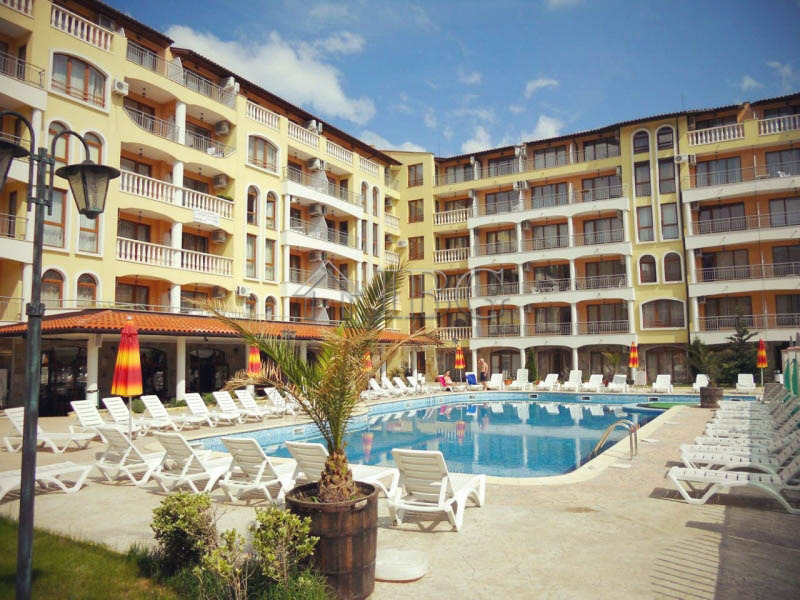 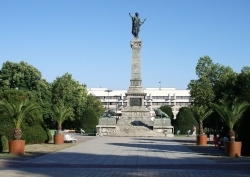 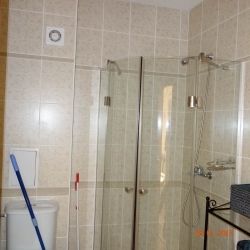 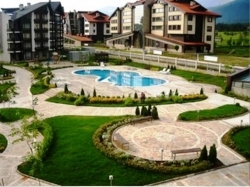 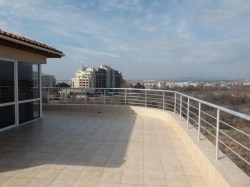 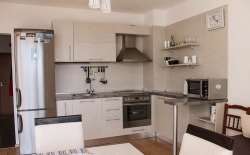 The complex is only 200 meters from the beach and 2 km from the old town of Nessebar. 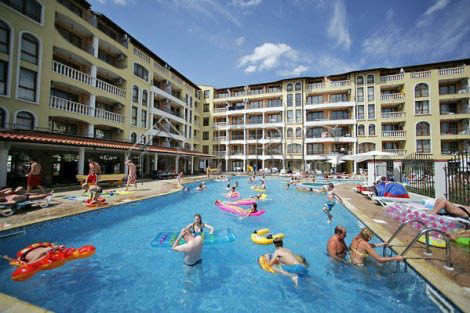 Royal Dreams has a big swimming pool for adult and children, reception, bar and restaurant, security and parking. 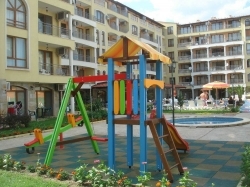 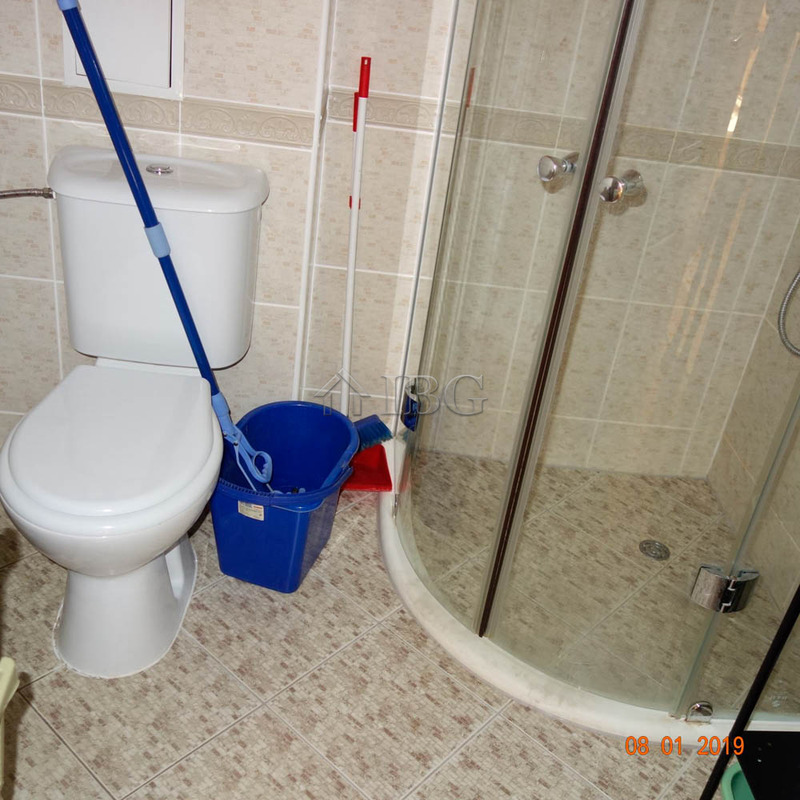 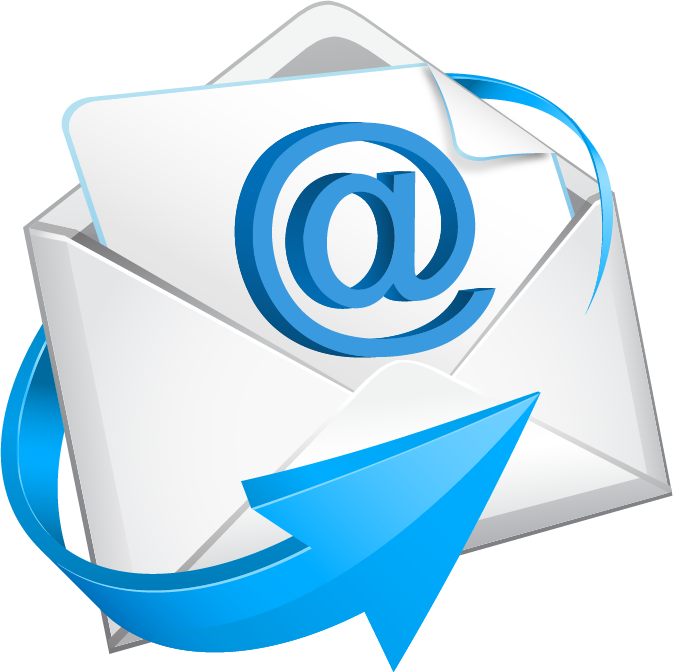 The complex is suitable for holidays and year round use. 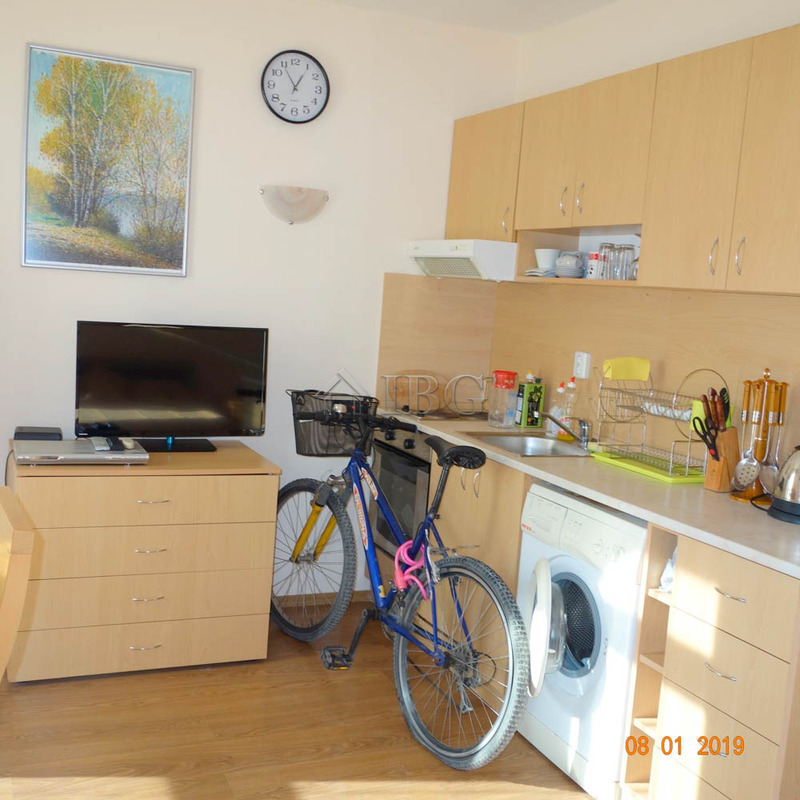 The studio is 41 sq.m., zoned and offers a living room with kitchen and sleeping area, a bathroom with shower cabin, toilet and sink and a terrace. 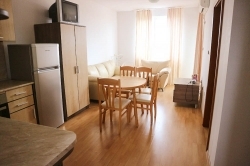 The studio is for sale furnished and ready to use or rent out.